The University of St Andrews, more commonly referred to as "St Andrews" was founded between 1410 and 1413 and is the oldest university in Scotland. St Andrews is judged as world-class for teaching and research; it is currently ranked the sixth best university in the UK. Coined 'Britain's top match-making university', it is said that one in ten students marry a fellow student from St Andrews. 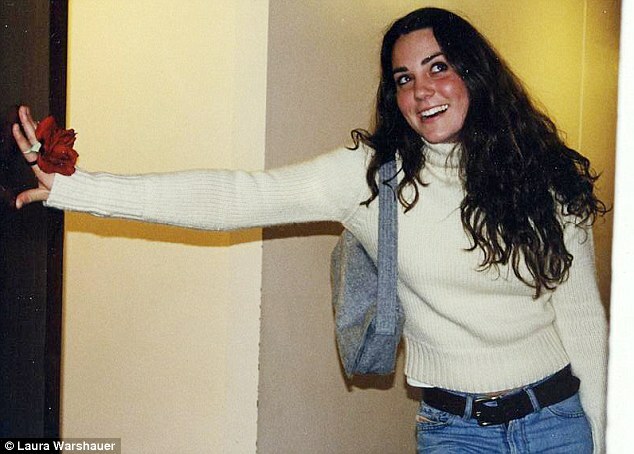 Meanwhile, Kate was also preparing for student life in Scotland after returning from her gap year where she visited Italy and worked in Chile, as fate would have it, she ended up at a project Prince William had visited just a month before. By the end of freshers week Kate was crowned the prettiest girl at Sally's, the nickname for St Salvator's Hall, her hall of residence. When William arrived he also moved St Salvator's Hall where he was eager to be treated like any other student and, without press intrusion, his four years in St Andrews would become the most private of his life. Regarded as one of the university's most prestigious residences, Sally's is often described as a 'rambling gothic dormitory'. In total it houses 180 students. At the west wing of the building there is a small library and a study room. A computer room with pigeon holes for residents' post is also situated on the ground floor. Each room comes with a desk, a wardrobe and a bookcase. Kate as a first year in St Salavator's. Kate spoke about meeting William for the first time during the royal engagement interview. 'Well I actually think I went bright red when I met you and sort of scuttled off, feeling very shy about meeting you. It take a bit of time for us to get to know each other but we became very close friends'. 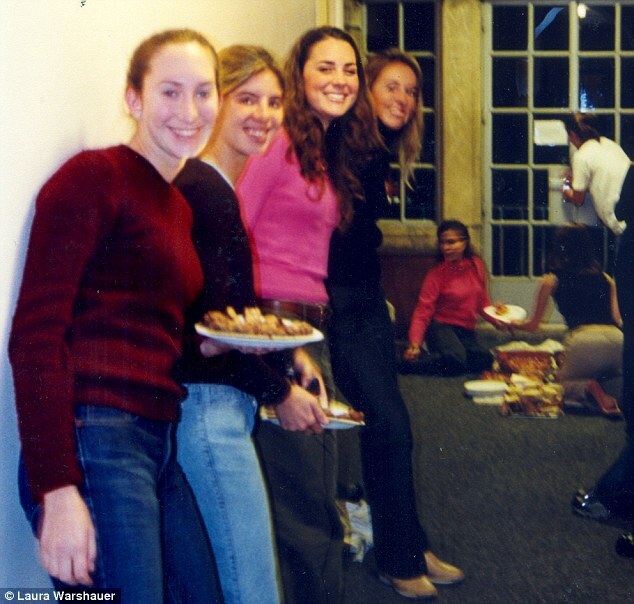 Not only did William and Kate share the same hall of residence, they were also both studying History of Art and inevitably spent a lot of time together. 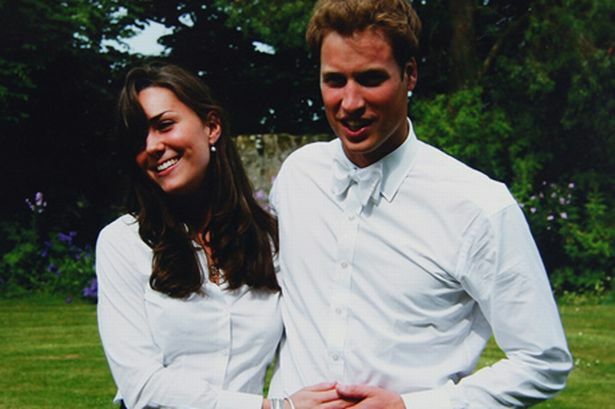 William liked the fact Kate was quiet and reserved and enjoyed country life as he did. They shared laughs and stories about their time in Chile. Kate took notes for William in lectures when he couldn't be there and a strong friendship was forged. Romance was not yet on the cards for the young students as William was dating Carley Massey-Birch, an English Language and creative-writing student. 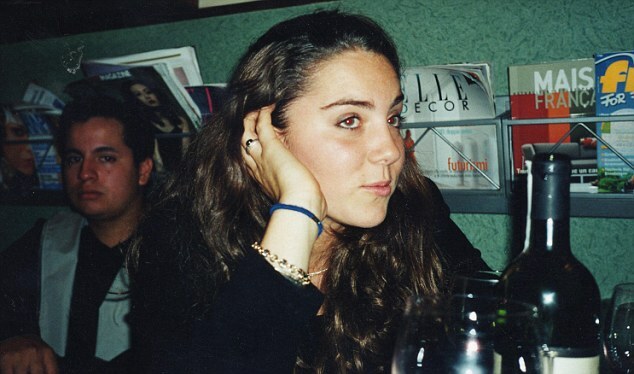 Carley was also a country girl and during their brief relationship William enjoyed visits to her home in Devon where they spent time playing board games and visiting the local pubs. William initially struggled to settle in to university life and described it as 'daunting'. Following discussions with Prince Charles, Prince Philip and his friends (including Kate) he decided to switch his major to Geography and taking his father's advice, stayed for another term and never looked back. 'She didn't dress in a sort of Euro-trash revealing way, it was always very homely. So people were desperate to see her in slightly more scanty attire'. Kate was asked to model a see through dress. Kate hadn't told William exactly what she would be wearing and the Prince was stunned as the brunette shimmied down the runway. William just turned to his friend Fergus and said 'Wow. Kate's Hot'. At the after show party William did not waste any time making his feelings clear and leaned in to kiss her. 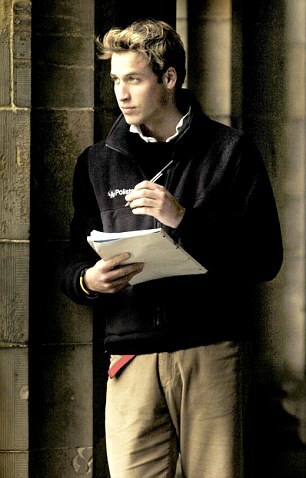 Kate was reportedly flattered but pulled away because she was dating fourth year student Rupert Finch. Kate and Rupert quickly parted ways and the royal romance began shortly after. 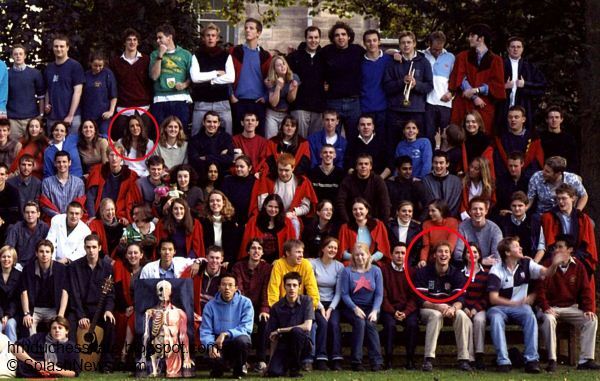 William and Kate's university year photo 2002. 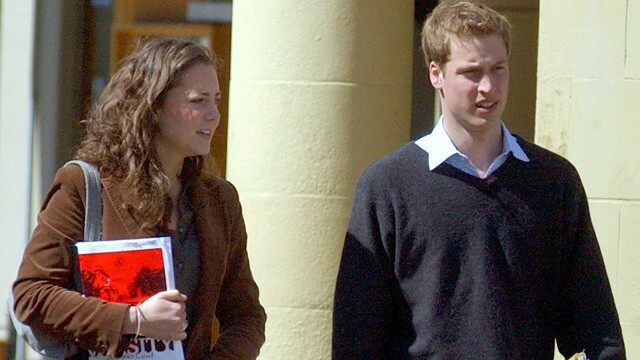 At the start of second year, September 2002, William and Kate moved off campus to 13A Hope Street, in the centre of town with friends Fergus Boyd and Olivia Bleasdale. They each paid £100 a week in rent for the two storey apartment and shared cleaning duties. Security measures included bulletproof windows and a bombproof front door. In the small kitchen in their Hope Street apartment William cooked Kate romantic dinners. 'When I was trying to impress Kate I was trying to cook these amazing fancy dinners and what would happen was I would burn something, something would overspill, something would catch fire'. 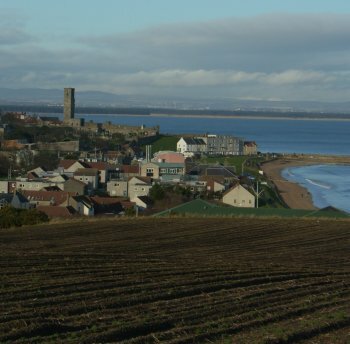 The couple were often spotted walking around the small town of St Andrews, Fife which has a population of just 16,000. With its breathtaking views the pair enjoyed romantic walks and were regularly seen shopping in their local Tesco, take-away and sweet shop. It was a level of normalcy no previous future King had experienced and William loved it. By the time the couple started their third year their romance was no longer a secret at St Andrews and they were desperate for privacy. They moved out to Balgove House, a private estate outside of town. The couple entertained frequently in the four bedroom cottage. Kate dressed the the kitchen windows with red and white gingham curtains. They often packed a blanket and a picnic basket and spent hours walking and chatting while taking in the stunning views. These were described by royal writers as 'very happy days for William and Kate'. Below we see William and Kate having a wonderful time on the dancefloor at a St Andrews gala dinner in October 2004. Kate looked lovely in a little black dress and the couple's body language was undeniable. 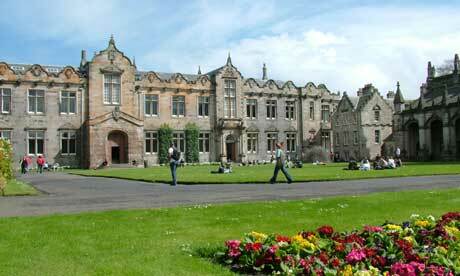 Kate graduated from St Andrews in June 2005 with a 2:1 Undergraduate MA in the History of Art. William also achieved a 2:1 in his Arts degree, the best degree of any heir to the throne in Britain and the Commonwealth realms. 'This is a very special moment for Catherine and me. It feels like coming home'. St Andrews obviously holds a very special place in the couple's hearts and it was simply wonderful they visited the university just a couple of months before their wedding. No doubt many memories came flooding back that day. I loved this post! I learned so many new things about them through this. It makes me wonder if all the supposedly “tell-all” books are real, cause all the things you said here are the complete opposite of those in the books. And we all know who we should trust, right? ;) Thank you for making time to write this wonderful post. Been a fan of your blog ever since. I have to say this is on e of the best you have done, but all of them are great. I just love seeing how their love developed. I thnik that is why there love is so strong. Now if follow this "Kate Loves" you should do the one "Kate Loves William". I my opinion this will show how their love has grown over the past 11 years. Just a suggestion. I can't wait until their Asian trip. Wondering what the beautiful Ducess will be wearing?? And all the pictures we will get. Thats again for all your hard work in bring all of us Duchess fans this great blog. I'd love to see that as well if it's not too tall an order! I've always thought that she curls her hair for every occasion, but now looking at those photos of her where her hair is totally unstyled, I can see that probably she has naturally curly hair. It seems like her stylist probably blows her hair out straight and then curls it with a hot iron, because her "styled" curls look very different from the natural curls. I wish she would wear her hair naturally curly again, it's so cute! What a wonderful idea for an article. Thank you! I cannot even begin to imagine all the memories that came back upon their return as an engaged couple! this post was wonderful : ) thanks for the post and pics, i love it all! Thank you all for the simply lovely comments. I'm delighted you enjoyed the post. I spent a number of hours researching for it because there are so many rumours and tell all books I want to use accurate facts and everything in the post has been reported in several reputable pieces and by trusted royal correspondents. It is lovely to look back on their time in St. Andrews, it seems they had an idyllic time there, possibly the reason they adore Anglesey so. 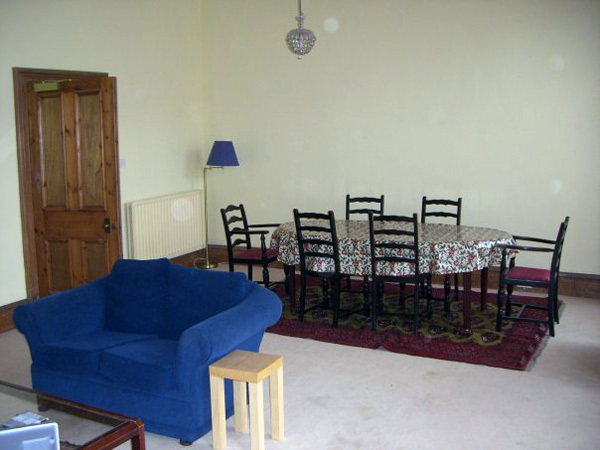 It is a standard room Sarah, there are only 180 students in St Salvator's and three rooms so the rooms do appear to be quite spacious. Lovely post. Thanks for all of your hard work. Thanks so much for all the hard work you have put into this blog!! I agree with the others that this is a really great read. They seem like a normal couple except for the fact that they would garner attention because of prince William. They were still able to keep up their romance alive for 9 years and that is amazing even by royal standards. I agree with Pauline's post about Kate loves Will.It would be interesting to highlight their romance,and all the adjusting Kate had to do to William and his royal lifestyle. What a sweet love story. You told it beautifully, Charlotte, and I am charmed. I love all the pictures but the one I like the best is the one of them dancing. The body language is so telling of their love for each other. A great post, like always, dear Charlotte, so informative, I have also read a great deal of the University-page, they must have spent a wonderful time there. Like two of the other readers I realised that Kate's hair seems to have changed over the years??!! In St. Andrews it was so curly and now it seems to be so much straighter or am I mistaken? Anyway, her hair is gorgeous! What a great post! Thank you for your research and for including several photos I hadn't seen before. Oh I love pictures from (them from) the past!! What a great post! Thank you so much Charlotte! I'd like to thank you for taking the time to teach us a little bit more about St. Andrews. Nice to see the pictures of them, enjoying such an amazing time as college. I am less than 8 week away from my college graduation... So this post certainly caught my heart! Thank you again! I am very delighted! Amazing post, Charlotte, thank you so much. Yup, I remember reading that it was meant to be worn as a skirt and Kate herself chose to wear it as a dress. Someone out there is selling a version of it - I can't remember the link, but I think maybe Charlotte might have posted it before? It's been remade so that it's not quite sheer but you can clearly still tell it's the same dress - and very pretty. Thank you all for your comments, I will definitely get to work on including more PDA, romantic moments between the couple for future 'Kate Loves' posts. I savored every word of this post. Fans are so eager to know more details and stories of the early years of the friendship and romance! Such a sweet sweet post! Thank you! You're most welcome and thank you for your comment. We know so little about their lives in St Andrews really, it's nice to look back on the beginning of the romance.